Note: I received this massage for free in exchange for writing an honest review. 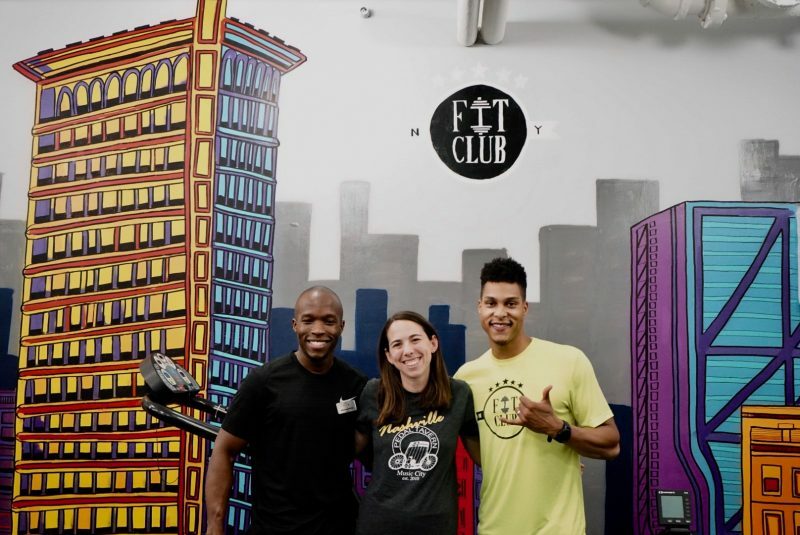 I first met the lovely folks of FitClub NY when they hosted a pop-up event at the flagship Lululemon on Fifth Avenue. Camped out in the lower level of the shop, in a space called Hub Seventeen, they offered sports massages and physical therapy assessments. 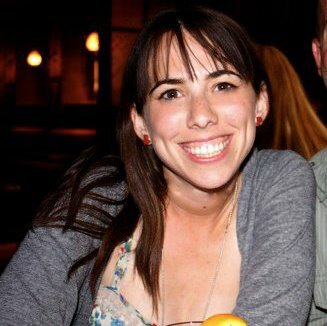 At that event, I won a 60-minute sports massage at their studio, located at 153 W 27th Street. Who turns down a free massage? Not me. So a few weeks later I showed up at their studio, conveniently located by the 28th Street 1 train stop. I made an appointment first, of course. You gotta make an appointment. Write that down. FitClub NY reminds me of a start-upy version on my old favorite, Finish Line Physical Therapy. I switched health insurance plans. Under the new policy, PT sessions have increased in price by 300%. So I’m exploring other, possibly more affordable, PT options and I was excited to check out FitClub. So I’m a marathoner. 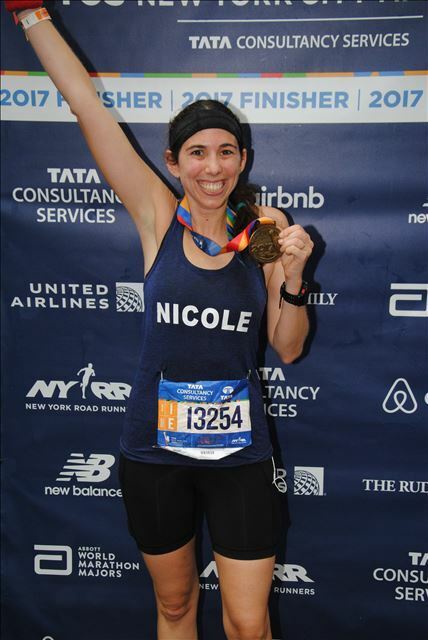 Yesterday, I ran the NYC Marathon, my first-ever marathon. I am so sore and so very happy. It’s such an overwhelming race. I can’t imagine how it must feel to come to NYC for the very first time to run it. I knew where I was about 60% of the time and still felt totally lost and small in the giant scheme of this 55,000-person experience. Here’s how the day went down. I woke up at 5:30am. I went to bed at 8:30pm the night before (and gained an hour due to daylight savings time). So despite the early wake up, I was well rested. I ate a RX Bar and packed some Chia Health Warrior bars for the commute. I got dressed and Matt and I met our friend Jon in a cab near our house. We got to South Ferry Station around 6:50am. We technically signed up for the 6:45am ferry time, but there is literally no way to check ferry assignments at the station. It’s basically a tool for people management but it is not enforced at all. Not even attempted. Think of it as a polite, light suggestion. Most training plans include a tapering period 2-3 weeks before a marathon. This means you run less, and slow the eff down in fitness and ideally in life. The theory is the work is done, your strength and endurance are built and it’s too late to try to work on speed. Now it’s time to relax and get/be healthy. The goal is straightforward: Show up to the marathon well-rested and eager to run. 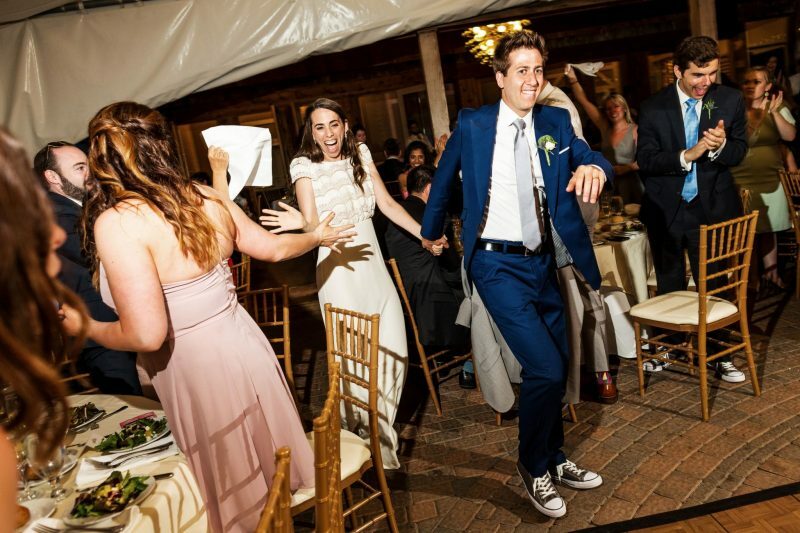 I would like to interrupt this complaining with a gratuitous wedding photo! I ran 4 miles yesterday at a 10-minute per mile pace (on the slow side for me) and it was a workout, not a casual jaunt in the park. Everything feels HARD. I’m still sore from the 21 mile run. Which was like, 10 days ago. So I’d say things are going only OKAY. I feel DONE. Saturday, I ran 21.6 miles. That’s the longest I’ve ever run in my life and the longest I will run until the November 5 (you know, during the NYC marathon). For the first time this training cycle, I ran with a group. I love the idea of joining a running group/club/team but in practice, I wasn’t sure if it would work for me. I’ve had mixed results with group runs. With other people around, I get in my head about keeping a certain pace and I end up going slower than I otherwise would just to make sure I can maintain. 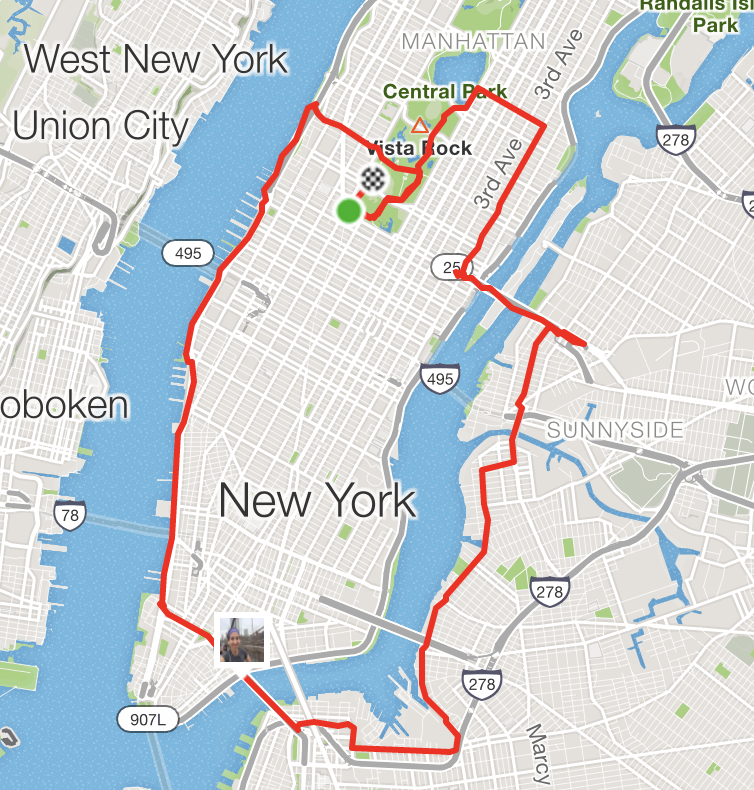 There is a very popular training run in NYC where you hit three or four bridges: the Queensboro, the Pulaski, the Brooklyn and/or the Manhattan. The Queensboro (aka 59th Street Bridge) and the Pulaski are in the NYC marathon. I knew at some point during marathon training I wanted to run this route but I was turned off by all of the street running required. I was concerned I’d get lost or spend too much time waiting at lights and mostly, I had better, traffic-free options in Central Park and the West Side Highway. Anyway, I saw that a running team called the NY Flyers was hosting a 20-mile “three bridge run” on Saturday, October 14. That’s three weeks before the marathon and a popular time to get your last 20 (or 20+) mile run in before you taper. For $20, non-NY Flyer members could join and receive the aid of pacers as well three hydration and nutrition stations along the route. I signed up. I’m ever grateful they let non-members into this group run. After running 15 miles and 16 miles the last two weekends, I think it’s safe to say I took for granted how tough a half marathon can be. While I didn’t race the distance, 13 miles is still freaking far. 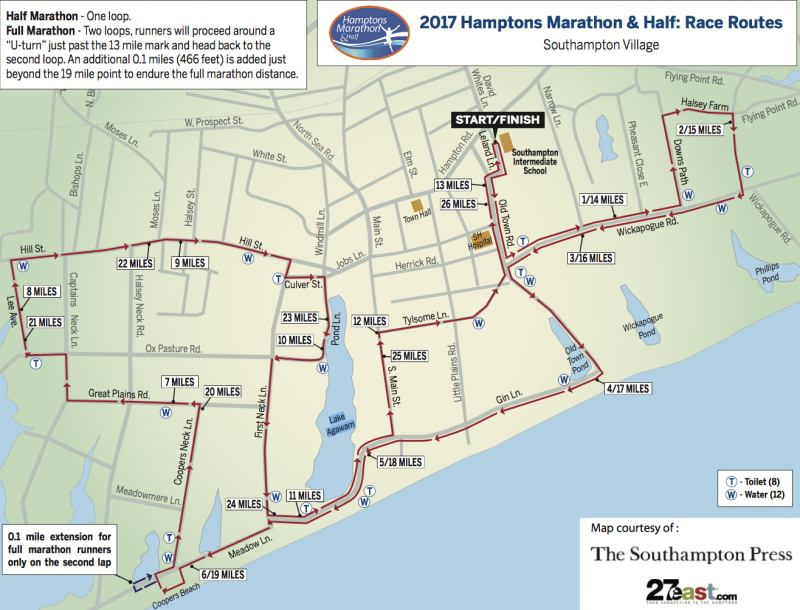 This half marathon course (and full marathon course) runs through Southampton and we had a warm, sunshine-filled, blue sky day, which for runners, can be terrible. I prefer a little cloud cover, maybe a nice chill in the air? Light rain would be agreeable, too. This sport can bring out the vampire in you.